When a person is between the ages of 10 and 17 and faces criminal charges, they will likely be levied against them at the juvenile level. Under Pennsylvania law, juveniles will have a separate process for resolving these incidents rather than undergoing the full adult criminal process. In Philadelphia County, juvenile crime is handled by Juvenile Branch of the Family Division in the Philadelphia Court of Common Pleas; also known as Philadelphia Family Court. When a juvenile faces charges, they will be entitled to a process similar to that used in a criminal case, however, the court will allow for certain differences due to the defendant's status as a juvenile. Primarily, when a person faces juvenile charges, the court will still follow a hearing process similar to a criminal trial. The terminology used in this process will be different however; instead of being found "guilty," a juvenile will be found "delinquent," which is also referred to as being "adjudicated" delinquent, and a "conviction" will be considered a "delinquency." The "detention" hearing is the first hearing that will take place after a juvenile is arrested in Philadelphia. The detention hearing takes place at the Juvenile Justice Services Center, also known as the Youth Study Center (YSC). The Youth Study Center is located at 91 N. 48th Street, Philadelphia, PA 19139. A juvenile "Master" who is similar to a judge will preside over the juvenile detention hearing at the Youth Study Center. The Commonwealth of Pennsylvania is generally represented by an Assistant District Attorney from the Juvenile Unit of the Philadelphia District Attorney's Office. At the detention hearing, as its name implies, the Assistant District Attorney, also referred to as the prosecutor, may argue that the juvenile should be held in juvenile custody pending the next hearing. Also at this time, the juvenile's attorney can argue why the juvenile is deserving to return home to his or her family and to return to school. The Master will then make a decision whether the juvenile will be placed in juvenile custody or will be allowed to return home and to school. The Master will make this decision based on the seriousness of the alleged offense, whether the juvenile has any prior contacts with the juvenile justice system, the juvenile's attendance and behavior at school, and other related considerations. If the Master decides at the detention hearing that a juvenile should be held in custody, the juvenile can be held at the Youth Study Center, or at any of the several juvenile detention facilities that the Philadelphia Court utilizes both in the city of Philadelphia and also outside of the city. If the Master allows the juvenile to return home, certain conditions may be imposed such as the juvenile being restricted to his or her house, in-home detention services, and so forth. If the juvenile is held in custody, the next hearing will be held within ten (10) days per Pennsylvania law. If the juvenile is allowed to return home, the next hearing will generally be scheduled to take place at a later date. After the detention hearing, the accused juvenile's "adjudication" hearing will take place. Philadelphia Juvenile Court will hold the adjudication hearing to determine if a delinquent act was committed. These hearings will be decided upon by a judge and argued by a prosecutor. The prosecutor will argue that the delinquent act was committed "beyond a reasonable doubt." In court, a juvenile will have an opportunity to defend themselves against the accusations, through evidence and argument. Following the adjudication hearing, if a juvenile is adjudicated delinquent, a disposition hearing will be held to determine what punishment will be appropriate for the delinquency. A judge may assign juvenile detention or may assign a period of juvenile probation. Juvenile adjudication hearings in Philadelphia take place at Philadelphia Family Court, 1501 Arch Street, Philadelphia, PA 19102. If a judge chooses to assign a juvenile to a period of juvenile probation, the juvenile will face terms similar to those encountered with an adult probation term. This will typically involve regular check-ins with a juvenile probation officer, drug testing, GPS tracking, restorative justice measures, and possible community service. The purpose of juvenile probation is to focus on restorative justice measures, educate the juvenile, and reintroduce them back into their family and school environments. Philadelphia offers certain specific services for juvenile offenders, such as the Youth Violence Reduction Partnership (YVRP) and Aftercare Units for youths recently discharged from juvenile placement facilities. The Philadelphia Juvenile Probation Department is located in Philadelphia Family Court, 1501 Arch Street, Philadelphia, PA 19102. Juvenile court can be an intimidating ordeal for any child and family to undergo. While courts, in general, have a more rehabilitative approach to juvenile justice in sentencing, the hearings for adjudication are still prosecuted with the full might of the Commonwealth of Pennsylvania. These hearings will use the proper rules of evidence and argument just as an adult criminal matter and as much can be at stake, as juvenile records are just as permanent as adult records. An experienced criminal and juvenile defense attorney can greatly help a child's chances in court. 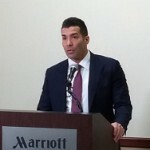 Attorney Joseph D. Lento worked as a juvenile probation officer for the Philadelphia Juvenile Probation Department while attending Temple University's Beasley School of Law at night, and he became an attorney to continue the work he started years earlier - helping youthful offenders move forward in life. Helping young people has always been a focus of Joseph Lento's professional career; through his work with the juvenile court system, his work in the education field, and for close to a decade, representing juvenile clients faced with delinquent and criminal offenses. Joseph Lento advocates for his juvenile clients not only with the philosophy of helping young people move forward in life in mind but also in his heart. Juveniles who are facing delinquency proceedings in Philadelphia, and their parents and families, can be overwhelmed by what takes place. The stakes can be high, and Joseph Lento leverages his experience in the juvenile justice system to allow his juvenile clients to move forward from what is often a regrettable mistake, and to also help their families get through what is often their most difficult time in life. He knows how to approach the Philadelphia Juvenile Court, the judge, the Juvenile Division of the Philadelphia District Attorney's Office, and the juvenile probation officer, and he is not satisfied until he gets his juvenile clients and their families the best possible result. Joseph's experience both behind the scenes and on the frontlines allows him to understand a client's juvenile offense from all angles and allows him to find and employ the most effective strategies to get favorable outcomes for any juvenile client and their families. If you or your loved one is facing juvenile charges in Philadelphia, or negotiating the juvenile probation system, contact attorney Joseph D. Lento today.